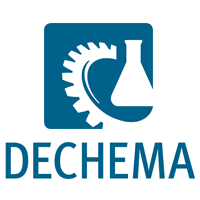 DECHEMA (Society for Chemical Engineering and Biotechnology e.V. ), Frankfurt/Main is an interdisciplinary scientific society with more than 5,700 personal and institutional members (including about 500 SMEs), whose activities cover wide areas relevant to the process industries. DECHEMA is dedicated to the support of R&D progress and implementation in various fields of chemical engineering. DECHEMA’s work is supported by 70 working parties from academia, industry and authorities. DECHEMA is organiser of the International Exhibition-Congress on Chemical Engineering, Environmental Protection and Biotechnology (ACHEMA) and of around 50 conferences with over 10’000 participants per year. Dr. Alexis BAZZANELLA is head of Research and Project Coordination at DECHEMA, a group of 23 scientists managing EU and national projects in different fields of chemical engineering and environmental technologies. He has long-term experience in the management and coordination of EU and other public funded research projects in various process technology areas. On national level, he is coordinator of a large research network on CO2 capture and chemical utilisation. On European level, he is furthermore strongly involved in SusChem as secretary to the reaction & process design group and member of the SusChem management team.